Welcome to Purgatory. 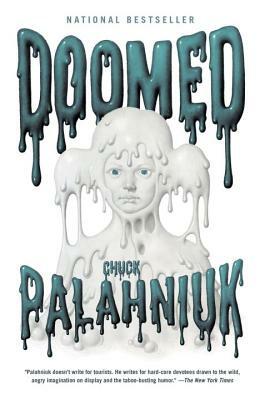 Chuck Palahniuk style. After a botched Halloween ritual, Madison Spencer, the snarkiest dead girl in the universe, finds herself trapped in Purgatory, otherwise known as Earth. The upside: she is no longer subject to physical limitations (she can pass through doors and walls). The downside: well, she's still dead. Her first stop is her parents' luxurious apartment, where she encounters her grandmother ghost. For Madison, the encounter triggers memories of the awful summer she spent upstate. As she revisits the painful truth of what transpired over those months, her saga of eternal damnation takes on a new and sinister meaning. It turns out, Madison and her parents have always been key elements of Satan's master plan -- doomsday.